Something New: I’ve given my students the opportunity to review a book they have read during Free Voluntary Reading. I was shocked by the enthusiasm they had to write reviews. Many have asked to do several. I’m so proud of my life-long readers. Please enjoy the first of many student reviews. About the Student: Krystal is in my Advanced World Literature/Composition for sophomores. Krystal’s Summary: Two sisters hunt down Fenris’ (like werewolves somewhat) since they’re one of the few people who can see their true form before it’s too late. The younger sister, Rosie, falls in love with longtime friend Silas and questions her loyalty to her trade. Scarlet (the older sister) takes Rosie and Silas to the city to avenge her attack along the way figuring out Silas’ feelings for Rosie and Rosie’s feelings for Silas. She has a hard decision to let her sister and only friend go and be happy, or to keep her sister with her but make her miserable. 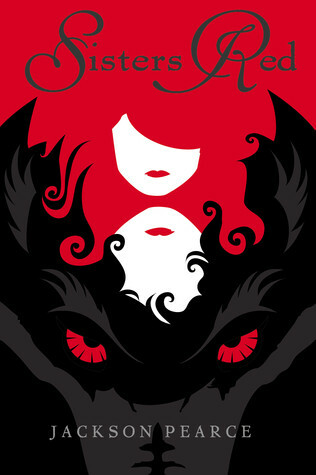 Krystal’s Review: I would definitely recommend this book to others who like fairy tales with a modern twist. This takes the weak red riding hood and turns her into two sisters who hunt the big bad wolves. It had a sidestory of love but for the most part it was an action book and I happen to like it very much. Being the second book published by this author I have high expectations and anticipation for her next story called Sweetly ( Hansel and Gretel rewrite). Have you read this book? What did you think about it? Will it make your TBR list? Let me know in the comments.